Different wireless earbuds offers different features and options. 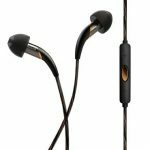 Depending on where you plan on using your earbuds most often, you can choose earbuds that you can not only play music on, but also make phone calls and access virtual assistants. 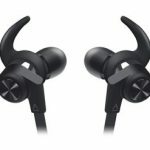 Other important features to look for in earbuds is their battery life and whether they are water resistant or not if you plan on wearing them outside or while sweating. The Jabra Elite 65t wireless earbuds are engineered for making phone calls and listening to music. There are four microphones built into these earbuds which help reduce any background or wind noise that can sometimes be heard from the other end of the phone call. You will have phone call audio in both earbuds. With the Jabra Elite 65t, you don’t have to be connected to your device with a cord. These wireless earbuds allow you to move around freely without having to worry about cords and wires. The battery in the earbuds will last for five hours of play or talk time. You can recharge them in their charging case to get up to fifteen hours of play or talk time. The Jabra Elite 65t earbuds are IP55 rated against water, sweat, and dust. Take these earbuds to the gym, to the beach, or use them while you’re working in the yard without having to worry about the elements ruining them. You can set up voice command on your Jabra Elite 65t to connect to Alexa, Siri, or Google Assistant. You can quickly access these features to get information you need on the go. Simply speak to Alexa, Siri, or Google and the feature that is compatible with your device will come through your earbud ready to listen to you. 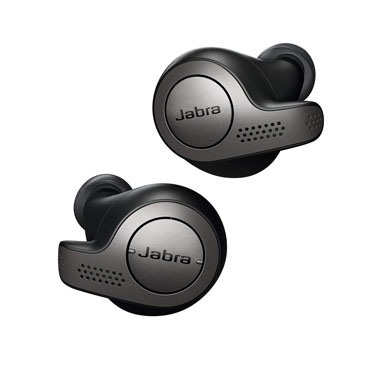 Jabrahas an app that helps you personalize the way you use your Jabra device. By downloading the Jabra Sound+ app on your device, you can choose your voice assistant, customize your music profile, modify how much background noise you hear, check on your Jabra device battery life, and much more. The Bose SoundSport Free earbuds are wireless and equipped for audio listening. 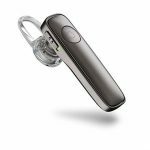 They have an integrated dual-microphone array in the right earbud that allows you to use them during phone calls on the device your earbuds are connected to. Unlike the Jabra Elite 65t, these earbuds will only have call audio in the right earbud. Move around freely with these wireless earbuds. The Bose SoundSport Free earbuds come with Stay here+ sport tips that can be added or removed to help your earbuds stay comfortably in place. You can workout or work outside while wearing these earbuds because there are water-repellent materials inside the earbuds to help keep moisture out. With the Bose SoundSport Free earbuds, you get up to five hours of play time with each full charge. They come with a charging case that can add an extra ten hours of charge to your earbuds. To get a full charge, you will need to wait approximately two hours for the earbuds to charge. Have you ever lost a wireless earbud before? That can be one of the most frustrating parts of owning wireless earbuds. With the Bose SoundSport Free earbuds, you no longer have to worry about losing your earbuds. The Bose Connect app has a “Find My Buds” feature that can track when and where your earbuds last connected to your phone. There is also an audio feature available to help you find a missing earbud. The main difference between the Jabra Elite 65t and the Bose SoundSport Free wireless earbuds is the phone call feature. 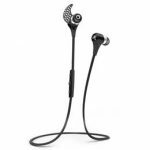 The Jabra Elite 65t earbuds have several microphones in each ear making it much easier to hear and speak to whoever you are on the phone with. If talking on the phone is an important feature, these earbuds will be the better option for you. 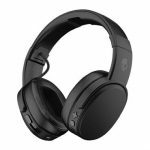 Click here to purchase Jabra Elite 65t on Amazon.com! 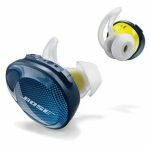 Click here to purchase Bose SoundSport Free on Amazon.com!